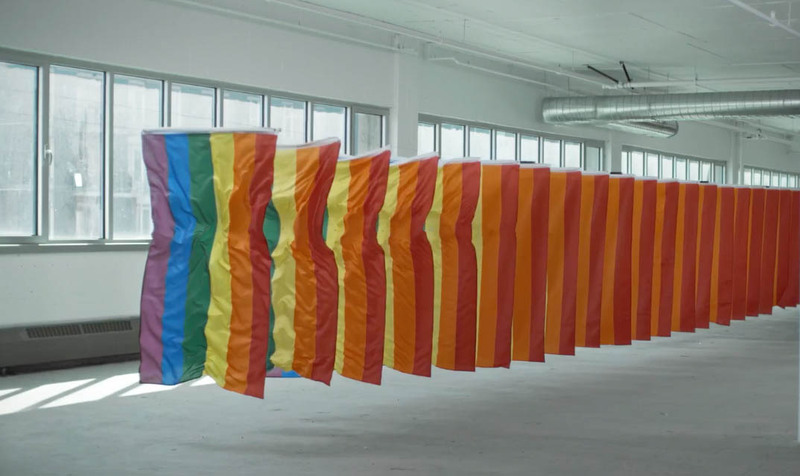 For it’s 15th edition, The International Day Against Homophobia and Transphobia created a powerful contraption: an LGBT flag made out of 193 Pride Flags – enough to stop a bullet. Showing that all together, we can stop violence. A real-life ballistic installation was crafted to put this notion of togetherness to the test. It’s now launched as A promotional video for May 17th. Following May 17th, The Pride Shield will be exposed in public spaces to spark discussions. LGBT organizations from anywhere will be able to order the installation on prideshield.com, a dedicated campaign website with testimonies from LGBT activists.